Jeannie speaks frequently on a variety of topics on caregiving and nutrition and health. Her passion and engaging style make her a captivating speaker. She offers a wide range of options from keynotes and presentations to hands-on workshops. 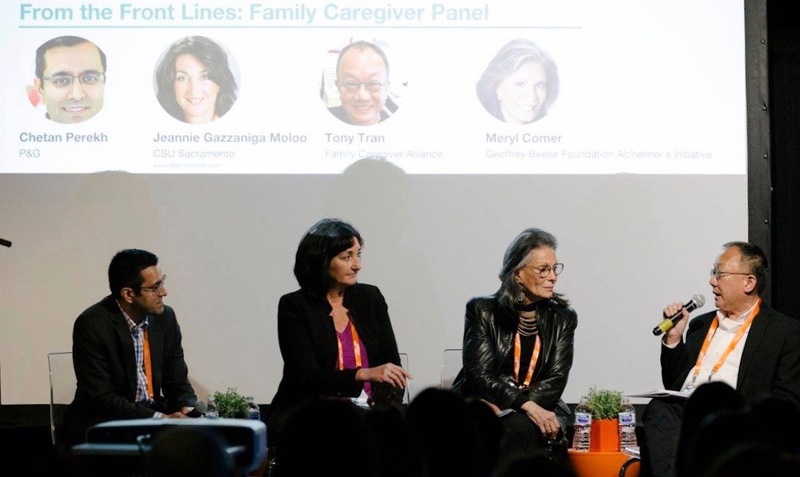 Whether it’s a gathering of family caregivers, health care professionals, or thought leaders, Jeannie Moloo has an array of topics that can be adapted for your organization, group, or company’s needs. She brings clarity, inspiring messages, and real-life strategies to help any group of people, at any age. To inquire about availability or discuss the needs of your group, please contact us.